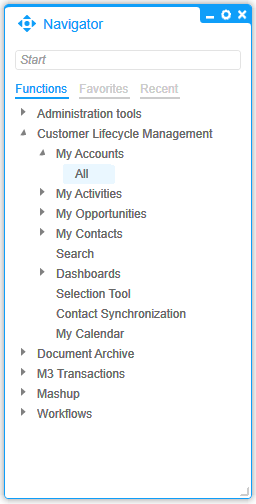 Today I will show you how I made simple modifications to Infor Customer LifeCycle Management (CLM), the CRM product for Infor M3. 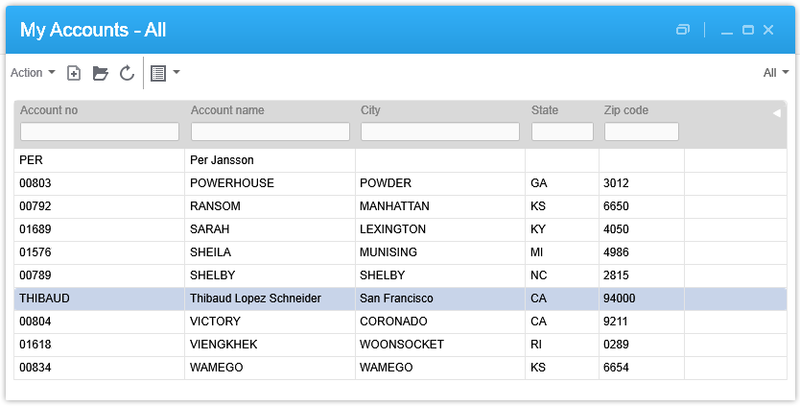 With CLM standard out-of-the-box we only have the ability to show/hide fields, for example choosing whether or not we want the name, address, and phone number columns in the list or the fields in the details view. CLM is a great product, and by design it is intended to be simple to use. In my case I wanted something more: I needed to add a call button next to the phone number. That is not officially possible by default so I had to do some hacking. 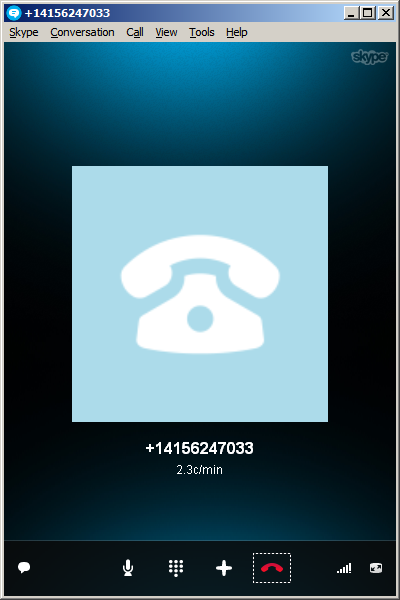 I’m working on a project for a customer to integrate Cisco IP phones with CLM, such that when a customer service representative on the phone receives an incoming phone call we automatically pop-up the corresponding customer data on the screen, and conversely, such that they can click a phone number in CLM and make that outgoing phone call. I had already done some work in the past integrating Skype with Smart Office, and integrating ShoreTel phones with Smart Office. This time it’s Cisco IP phones. I cannot show you the entire source code as it’s propriety of the customer and my employer, but I will show you interesting bits and pieces, and the writing helps me clean-up my code too. This code will only work for English. Ideally we would use an official CLM API that returns the correct Tasks, but I haven’t found one. Let me know if you find one. btn.ToolTip = "Call this phone number." Note: to get the Grid I used the textboxe’s parent. This assumption is true in CLM version 1.0.0.99, but could be false in a future version of CLM in which case this code would break. Ideally we would have an official CLM API for this. Now you can do whatever with the phone number, for example use the default operating system’s URI handler for the tel scheme which is Skype in my case. Use an event handler to listen for new CLM windows to automatically add the Call button as the user opens the Account views. I couldn’t find an event, and Karin confirmed it’s not currently supported. I tried MForms.MainController, DashboardTaskService, DashboardTaskBar, lclmControls.EventNotifier, WindowManager, etc. I found an event handler for M3 Forms, an event handler for the Quick Start CTRL+R, and private event handlers that would have worked had they been public. Nothing I could use. I ended up using a worker that’s polling Tasks every second in a background thread (yikes). Remember we added the button so we don’t add it again next time. 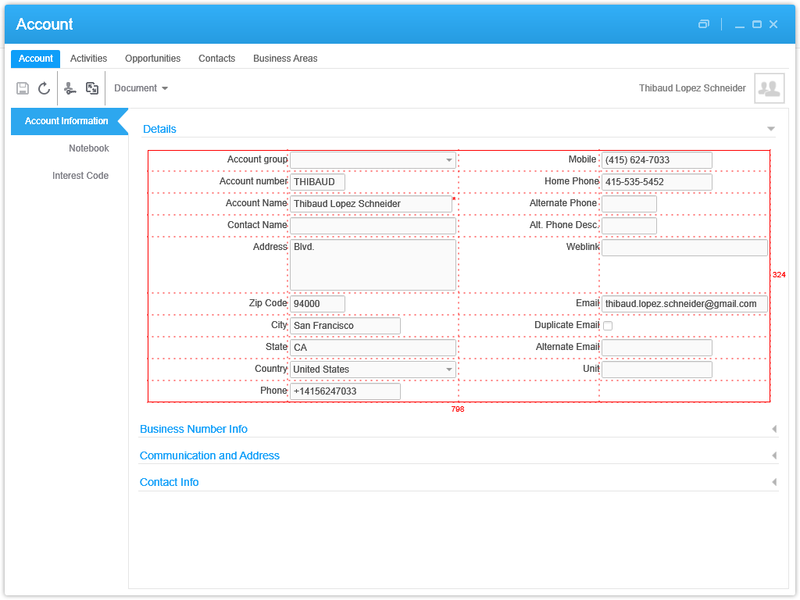 Add the Call button on all phone number fields: fax, mobile phone, home phone, etc. Validate the phone number with a regular expression that complies with the specifications. Make the outgoing call thru the Cisco IP phone instead of using Skype. Listen for incoming phone calls. Move the script to a widget using the Smart Office SDK. That’s it! If you like this post, subscribe to this blog. And if you rock, become an author to share your ideas. UPDATE: The Infor sales demo team has informed me they made a proof-of-concept that illustrates how to integrate Microsoft Lync with Infor Smart Office to receive phone calls. Great. Let’s add this to the list of known computer telephony integration solutions for Infor Smart Office: Skype, Twilio, ShoreTel, Cisco, Microsoft Lync. Great work, I actually was looking for anyway to be able to add buttons on CLM screens to allow Scripts functionality, you have made a huge difference to me :-). But I have one question, this is the first time I know that CLM has APIs, so where can I check the API list? also where can I find the port to connect to it on the server!!?? Appreciate if you have any Docs on this. Hello Mohamed, I’m glad you like the blog post. 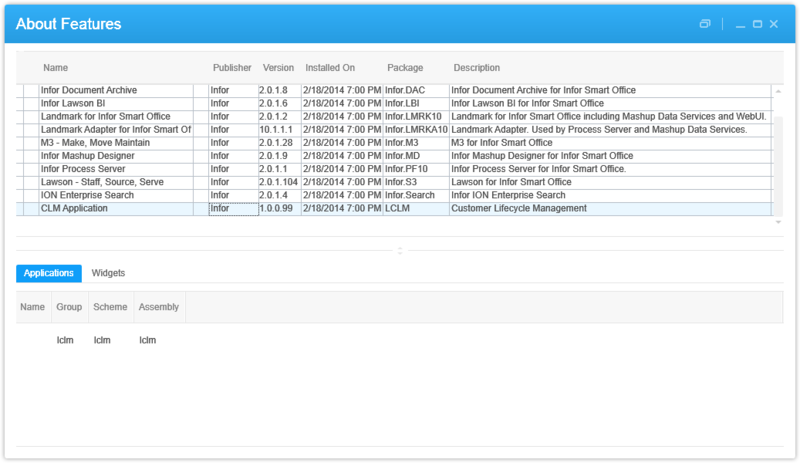 Yes, CLM and any application in Smart Office has APIs, some private, some public, some documented, some undocumented. The results I wrote on this post were by way of hacking into CLM. 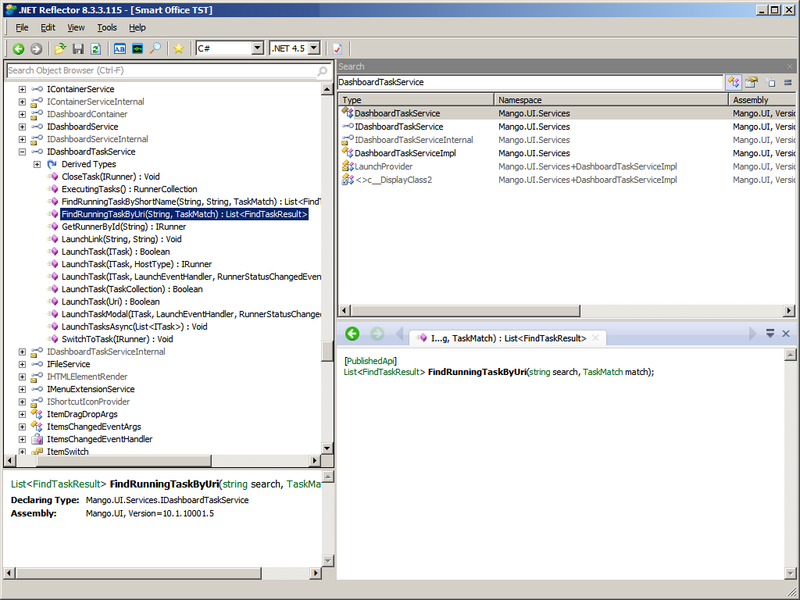 By hacking I mean just dis-assembling the .NET DLLs of the Smart Office folder, analyzing the packages, namespaces, Classes, Constructors, Properties, Methods, and Events, and learning results by trial and error. Start by reading my post on the tools I use for Smart Office: https://thibaudatwork.wordpress.com/2011/09/29/tools-to-develop-smart-office-scripts/ . I use Red Gate’s .NET Reflector. 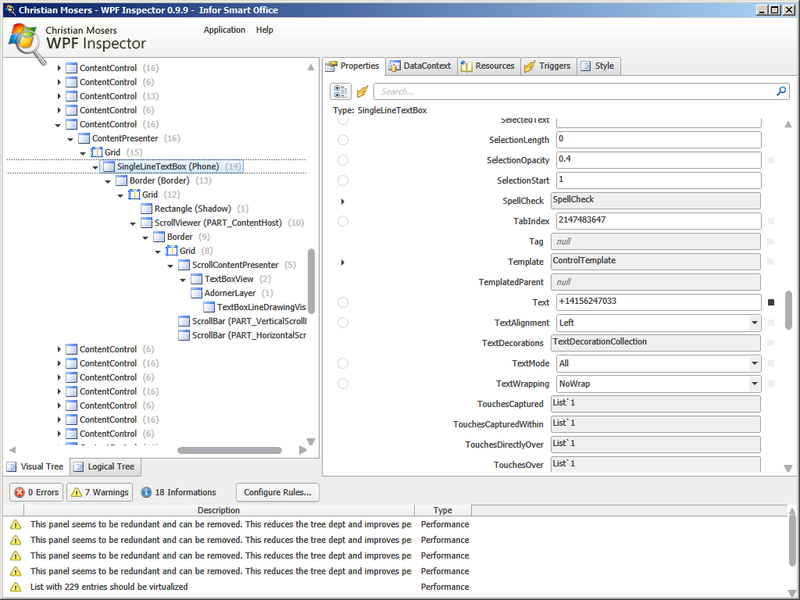 There are other dis-assembler tools like JetBrains dotPeek. By coincidence, while talking about another subject on the phone, I just met the great team behind CLM for Smart Office and mobile: Cherie, Sony, and Mark. I re-iterated my want for these API in CLM: get an event for incoming calls, validate phone numbers as we are typing, store phone numbers in parsed form, and add a button to call the phone number. Salamat!